When you are searching for Volvo XC70 parts, you need to know that you can rely on a trustworthy parts provider. 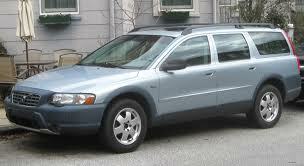 We specialize in providing all types of XC70 parts at Volvo. This unique cross-country estate vehicle was first introduced in 2005. With the introduction of the XC70, an entirely new idea was established by Volvo. That idea included the ability to combine a large estate vehicle was the off-road capability that had been previously reserved for SUVs. Featuring a spacious cabin and a rugged exterior, the XC70 is offers a high level of adaptability. There are three models of the XC70 available for consumers to choose from. In addition, owners are able to take advantage of the opportunity to customize an adaptive digital display to suit their mood. A voice-activated Sensus Connected Touch makes it possible for drivers to navigate their route with ease while enjoying superior entertainment. The high ground clearance of the XC70 makes it possible for this vehicle to easily traverse all types of terrains. All-wheel drive is optional on this vehicle. Consumers can also opt for the Hill Descent Control as well as Hill Start Assist. With these options, it is possible to take less frequently traveled routes with ease. The XC70 is still in production today. In your search for XC70 parts, you will find that eEuroparts.com offers a stellar inventory. Whether you are looking for current Volvo XC70 parts or older year model parts, you can easily find them here.